Topis designed to hit at the hip. 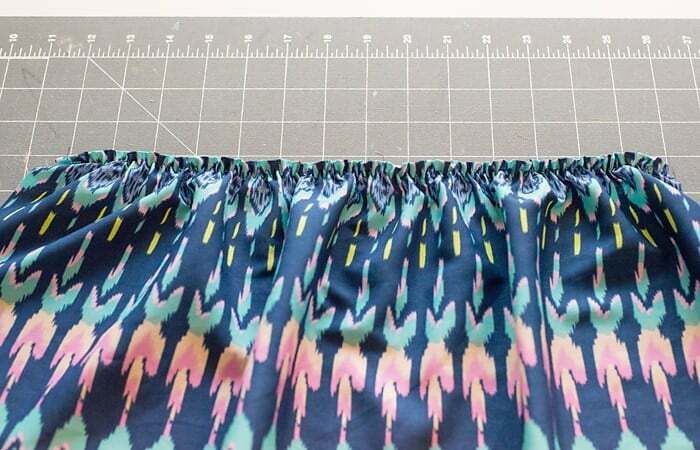 To shorten or lengthen, cut pattern at waist level and redraw side seam. Step 3. Measure for elastic. Measure around your chest, just under armpits. Multiply the chest measurement by .9 and add 1 inch to that number. Measure loosely around the top of the bicep. Step 4. Hem the Sleeves. 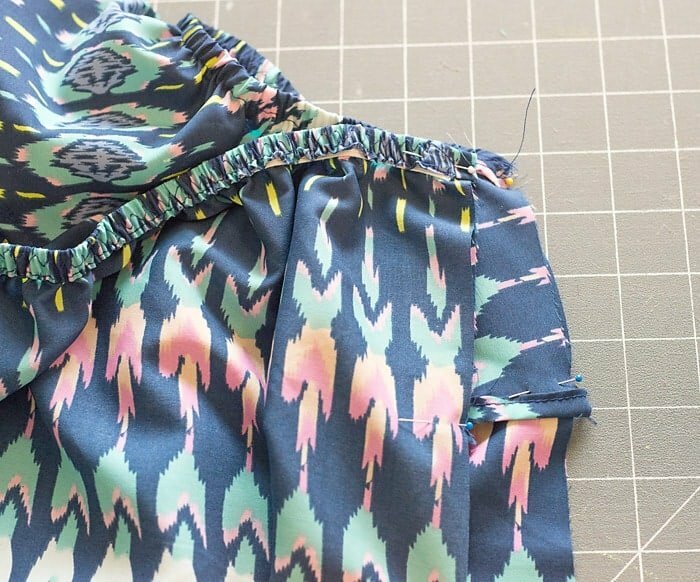 Hem the bottom of the sleeves, by folding over 1/4 inch, pressing with the iron, folding over another 1/4th inch, press again and stitch. Step 5. 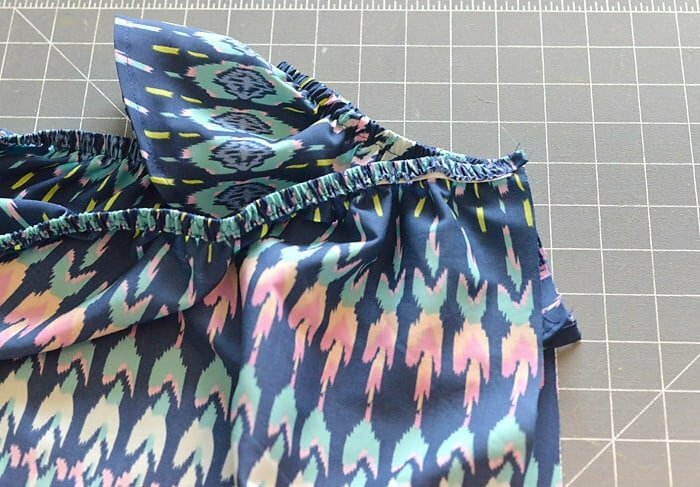 Adding elastic to sleeves. 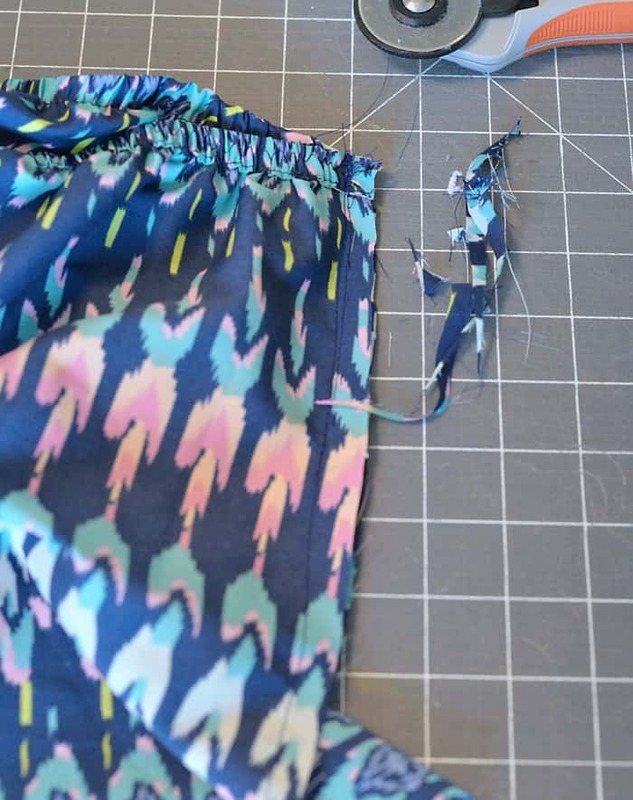 Divide inner/top side of the sleeve into four equal sections, mark the sections with fabric marker or pins. 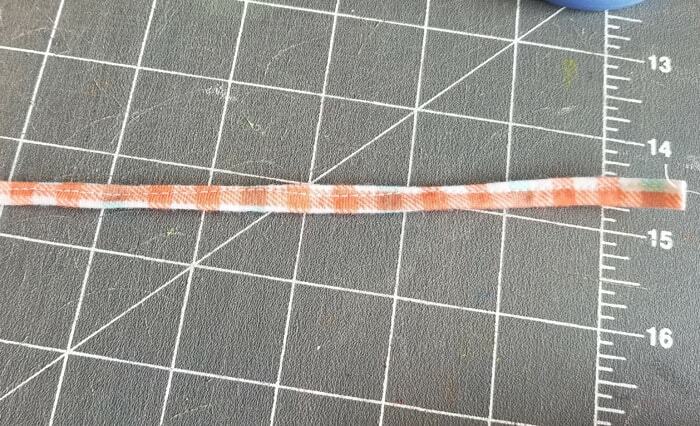 Divide sleeve elastic into four equal sections and mark them. 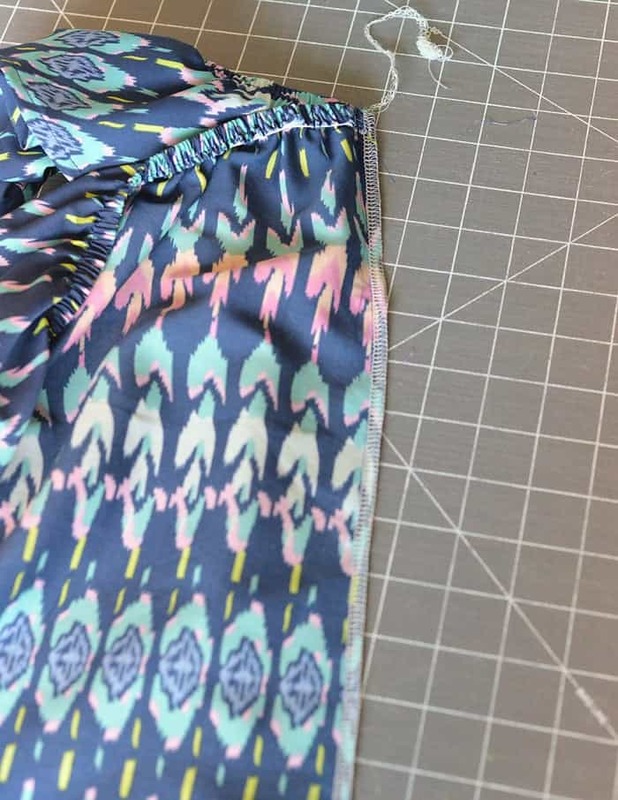 Pin the elastic and top edge of the sleeve together at the marks. 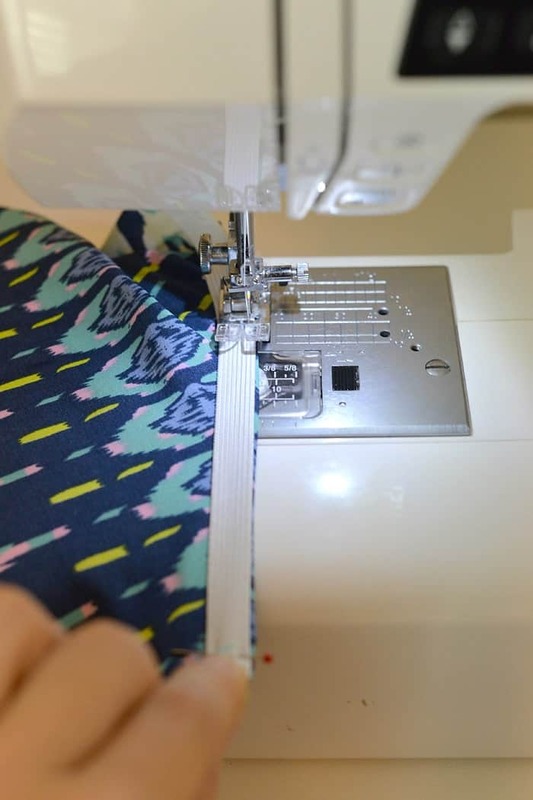 Stitch the elastic to the sleeve with a long wide zig-zag stitch, stretching as you go. Step 6: Adding elastic to front and back bodice. Step 7: Assembling bodice and sleeves. Line up sides of bodice top and bottom, right sides together. Fold sleeve in half wrong sides together. 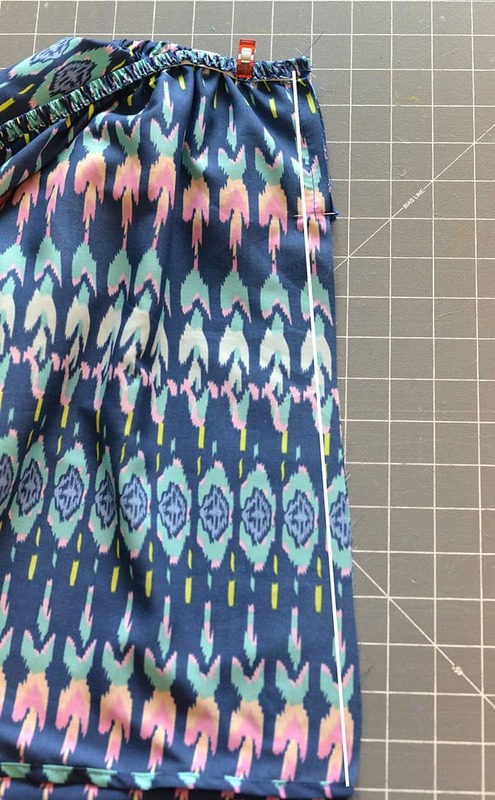 Insert sleeve in between bodice top and bottom. 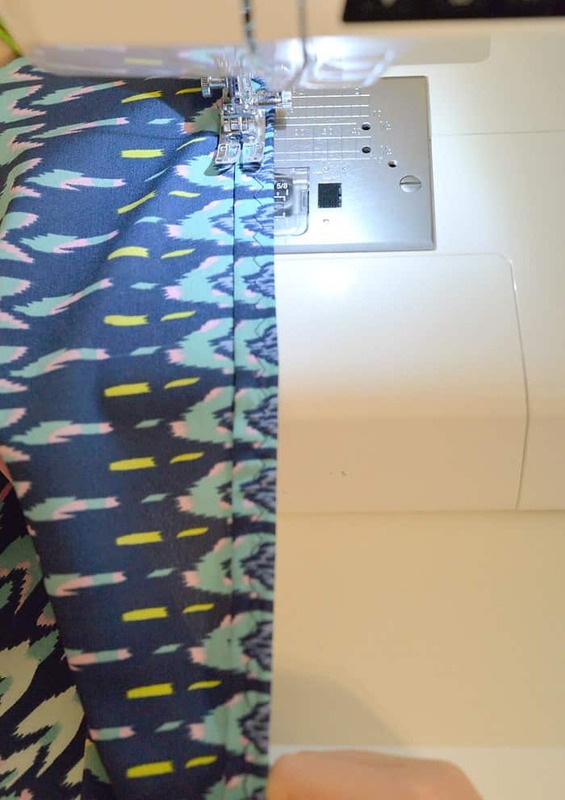 We want to baste a sleeve edge to the front bodice and the other sleeve edge to the back bodice. 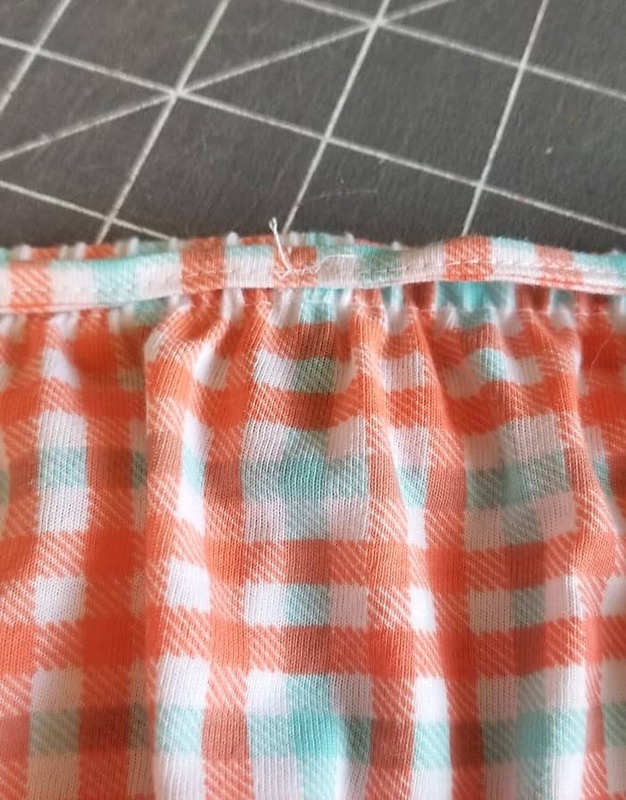 Pin sleeve and bodice together and sew a basting stitch through the elastic, down to the bottom of the sleeve, 1/4 inch from the edge. Use a binder clip or a wonder clip to hold all four layers in place. 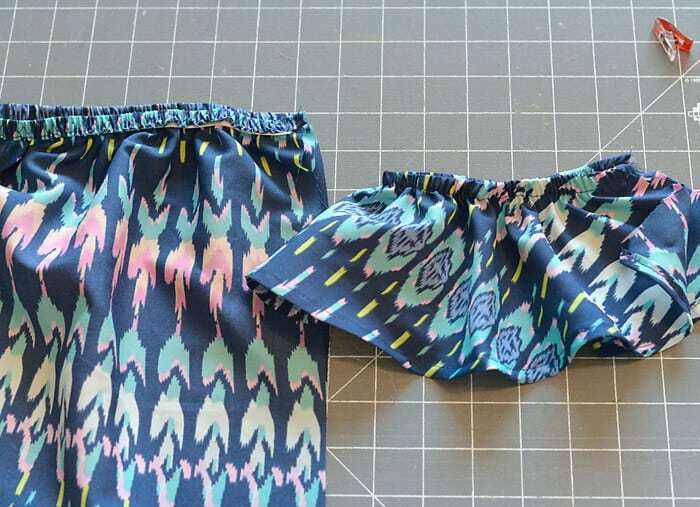 Sew bodice together at sides, from top to bottom with a 3/8 inch seam allowance. 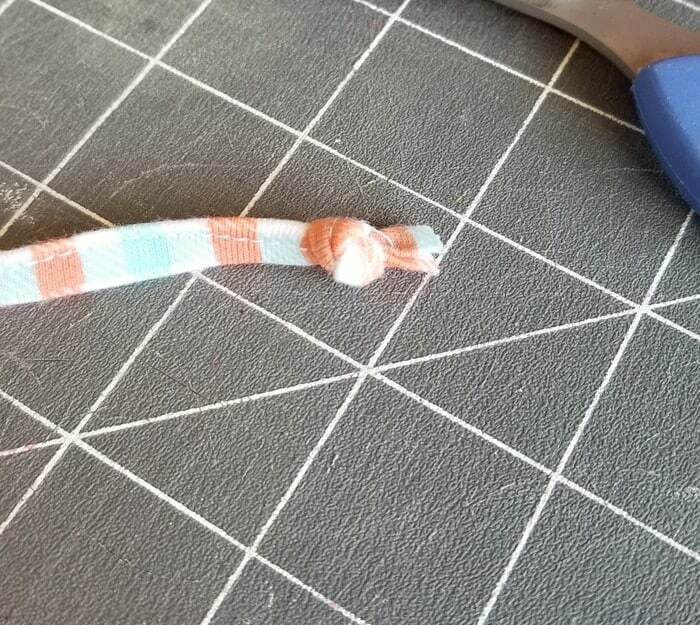 Go slowly through the elastic to keep layers from shifting. 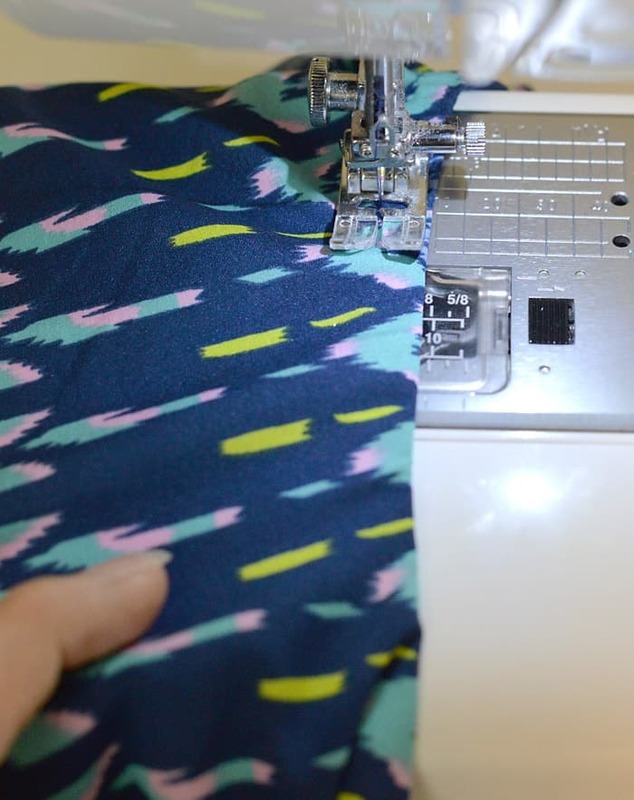 Finish the side seam with a serger or zig-zag stitch on your sewing machine. Step 8. 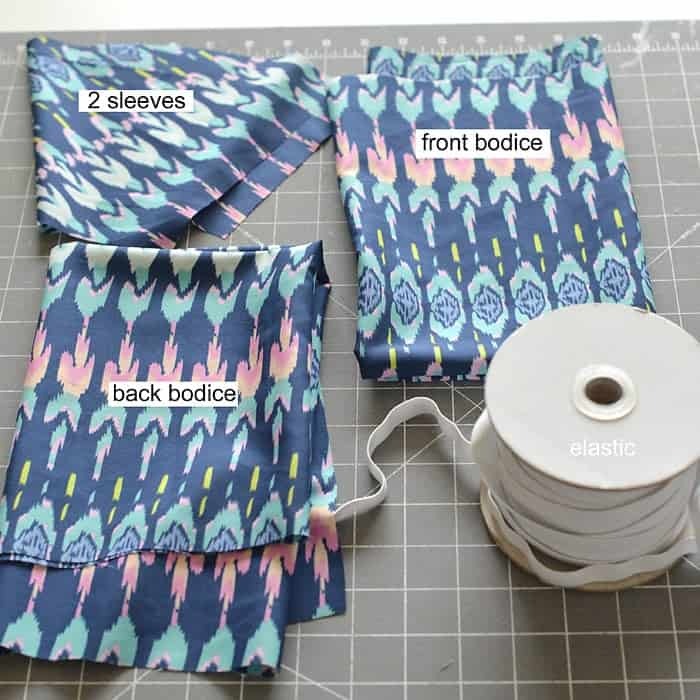 Hem the bodice. Hem the bottom of the bodice by folding over 1/4 inch, pressing with iron, folding over another 1/4th inch, press again and stitch. Step 9. 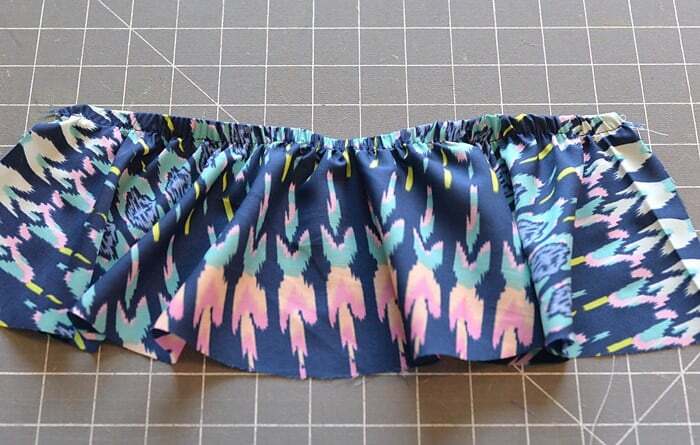 Add Trim if desired. 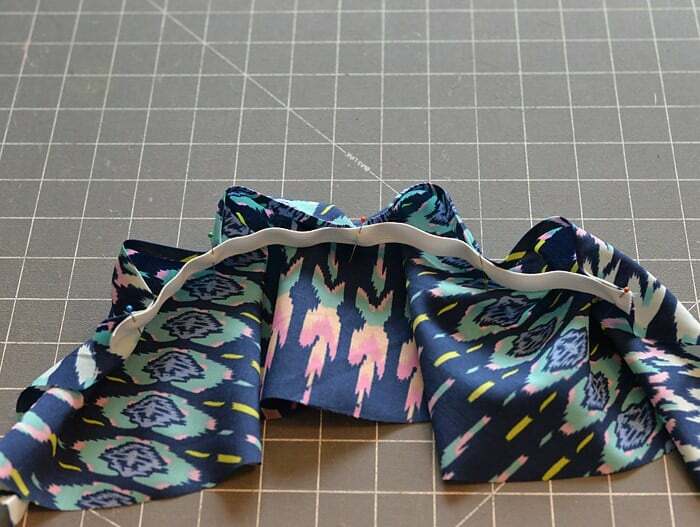 Step 10: Add halter tie. 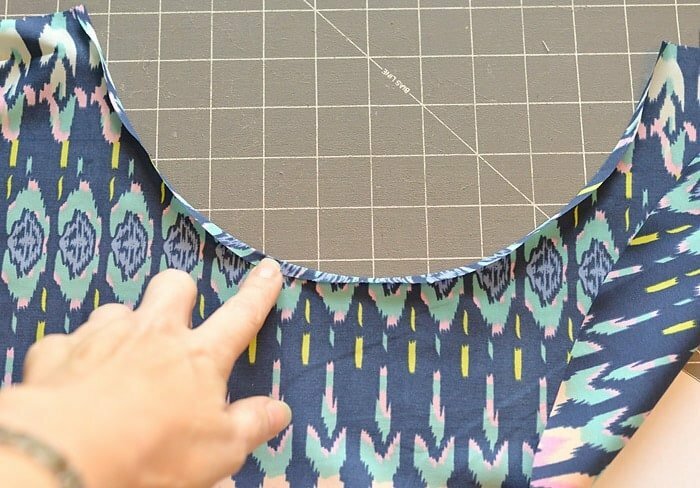 Sew a straight stitch down the open side of the Halter tie. You are done! Time to show off your work. 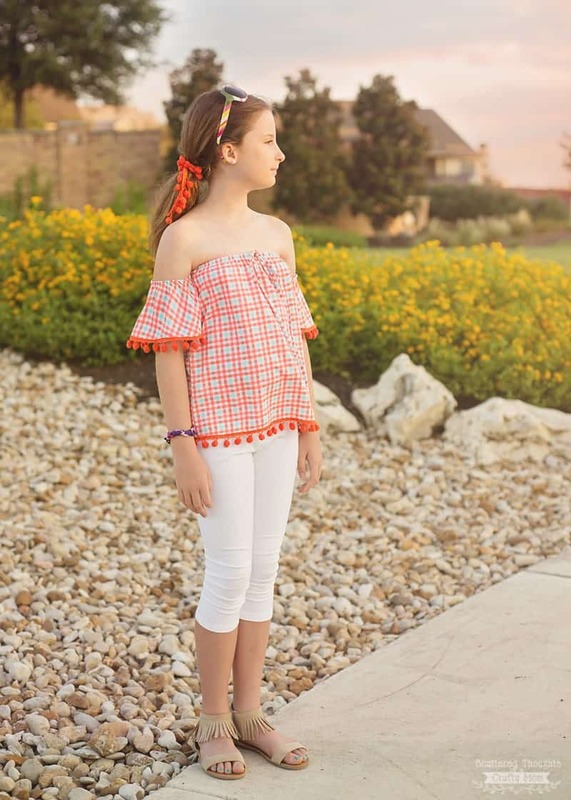 Don’t forget, if you end up sewing one of these tops, please come back and share a photo of your finished projet on my Facebook page or tag me on Instagram (@scatteredmom) with #scatteredmompatterns!